Islam is the religion of compassion and justice, a religion that teaches perfect morals and forbids bad conduct, a religion that grants man his dignity if he adheres to the laws of Allah. 1. Man is an honored creature and has an honorable status in Islam. Allah says: “And indeed We have honored the Children of Adam, and We have carried them on land and sea, and have provided them with lawful good things, and have preferred them above many of those whom We have created with a marked preferment” (Al-Israa’: 70). So the elderly, as children of Adam, are included in this high status, based on the general meaning of this verse. 2. Muslim society is the society of mutual compassion and coherence. The Prophet (peace and blessings be upon him) described the believers as being like a single body. He (peace and blessings be upon him) said: “The likeness of the believers in their mutual love, mercy, and compassion is that of the body; if one part of it complains, the rest of the body joins it in staying awake and suffering fever” (Muslim). The Prophet is also reported to have said: “None of you truly believes until he loves for his brother what he loves for himself” (Al-Bukhari). He also said: “The Most Merciful has mercy on those who are merciful. Be merciful to those who are on earth so that the One Who is in heaven will have mercy on you” (At-Tirmidhi). These are the way in which the Muslim society takes care of the elderly. b. Enjoining honoring one’s parents’ friends, even after the parents have passed away, and regarding that as part of honoring one’s parents. From Surah al-Rahman are the glorious words of our Creator: "Then which of the favors of your Lord will your deny?" A woman who we call Mother. If we only knew her lofty station in the sight of He whose mercy is endless, a single portion of which He showered upon the world and it manifested itself as the undying compassion of the mother to her child. "THEN WHICH OF THE FAVORS OF YOUR LORD DO YOU DENY?" To deny is to show ingratitude. To show ingratitude is to lose one's blessings......like sand flowing through one's fingers. To show ingratitude to the all Merciful is to show ingratitude to the means He creates out of His endless mercy. WHAT OF THE MEANS WHICH BROUGHT US INTO THE WORLD? "Paradise is under the feet of the mother...."
You have to make choices in caring for elderly parents and these choices are not that simple or easy. However, you have to make a choice, a decision which will make you and your parents’ lives happier and easier. Even the simplest of tasks such as assisting your elderly parents to take a bath needs some preparation on your part. You should be prepared to do it and you must know what you are doing. You must also be aware of your choices. To make the process easier for you, try talking with your friends. Talking with the people who have also been in the situation where you are in right now will give you some ideas on how you will carry out your task. You may also get an idea of what method will work out, what will fail, where and how you should start, and what expectations should you set.Please visit Gilbert Guide for more information on Caring for elderly parents . Abu Hurayra reported that the Prophet, may Allah bless him and grant him peace, said, "Three supplications are answered without a doubt: the supplication of someone who is oppressed, the supplication of someone on a journey, and the supplication of parents for their children." 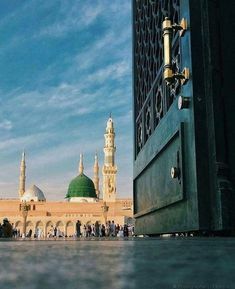 Abu Hurayra reported that he heard the Messenger of Allah, may Allah bless him and grant him peace, say, "No human child has ever spoken in the cradle except for 'Isa ibn Maryam, may Allah bless him and grant him peace, and the companion of Jurayj." Abu Hurayra asked, "Prophet of Allah, who was the companion of Jurayj?" The Prophet replied, "Jurayj was a monk who lived in a hermitage. There was a cowherd who used to come to the foot of his hermitage and a woman from the village used to come to the cowherd. Ibn Kathir tells the following in his biography of the Prophet. When the Prophet (peace and blessings be upon him) entered Makkah in Ramadan AH 8 (January 630) and entered the Sacred Mosque, Abu Bakr brought his father, Abu Quhafah, to the Prophet to embrace Islam. When the Prophet saw him, he said to Abu Bakr, "Why didn't you leave the old man at his house and I would've gone to him there?" Abu Bakr said, "You are more deserving of him coming to you than he is of you going to him." The Prophet seated Abu Quhafah in front of him and honored him. Then he passed his hand on Abu Quhafah's chest and asked him to embrace Islam and Abu Quhafah did. The Prophet, noticing that Abu Quhafah's hair was white, directed that his hair be dyed. These are just few examples of the Prophet's gentleness, mercy, and respect towards the elderly. These examples, and many others, translate the sublime Islamic code of ethics for treating the elderly and provide Muslims, generation after generation, with a practical model that they should follow. Such care for the elderly is in line with the Islamic principle of the dignity of the human being and with the spirit of solidarity and mercy that pervades the Muslim society. The strain of caring for one’s parents in this most difficult time of their lives is considered an honor and a blessing and an opportunity for great spiritual growth. In Islam, it is not enough that we only pray for our parents, but we should act with limitless compassion, remembering that when we were helpless children, they preferred us to themselves. Mothers are particularly honored. When Muslim parents reach old age, they are treated mercifully, with kindness and selflessness. Allah has ordered us not only to pray for our parents, but to treat them with ultimate compassion, remembering that when we were helpless children they preferred us to themselves. When they reach old age, Muslim parents are treated mercifully, with even more kindness than they were ever. Mothers are particularly honored; Prophet Mohammad (PBUH) said that 'Paradise lies at the feet of mothers'. "Your Lord (The Creator) has ordained that you worship none but Him, and that you be kind to the parents." Prophet Mohammad (PBUH) said that the parents of a person are his Heaven or Hell. Which shows that if a person obeys his parents and fulfills their needs and comforts and keeps them happy, he will enter Paradise. But if he is rude and disobedient to them and offends them by ignoring their feelings or by causing them grief, his place shall be in Hell. Pleasing the parents causes Allah's pleasure. Note that Allah enjoined us to be kind to parents right after He enjoined us to worship Him, which gives an idea of how important is it to treat them with kindness and mercy. Such treatment should be the norm, whether our parents are Muslims or not, for we are ordered to treat all people justly regardless of their belief. Although, the entire experience has been an enduring as well as a learning one, the small rewards of a smile or her contentment resonates deeply and provides satisfaction to the soul. To arrive to this level of feeling satisfaction has not been an easy one. The challenges have been an immense one from the physical care, to the emotional, plus the added frailty of the relation. Being a part of what is called the 'sandwich generation' has brought on challenges that one wouldn't have conceived prior to actually facing it. An elderly in any form of need has to be added on as another child of the family from the perspective of responsibility and nurturing. Reading the countless verses of the Holy Quran and sayings from the Hadith in reference to the treatment of parents, we are aware of the multiple blessings of being kind to parents and treating them with honour. At times, not uttering an 'ugh!' can be a difficult task when your parent himself/herself is struggling through mental and physical issues. An example may be of an elderly parent hallucinating and accusing their child of wrong-doing or another test may be trying to feed an elderly parent when the parent is not complying. Very informative, but it leaves me wondering still... Is it not against islam to force one's son to marry someone when he is engaged to someone else? In other words, they reject the fiancee for non-islamic reasons or the family wants someone to stay and care for the elderly parent because the son lives in another country and extended family no longer want to do so? As a general rule, forcing an adult person to do something against their own free will is wrong. Can't the parents shift to live with the son?